Curing agent DETDA - ZhangJia Gang YaRui Chemical Co., Ltd.
With polyurethane cool development, industrialization in the early 1980s and the extensive use of a hindered aromatic diamine chain extenders, low viscosity, non-toxic, odorless liquid. 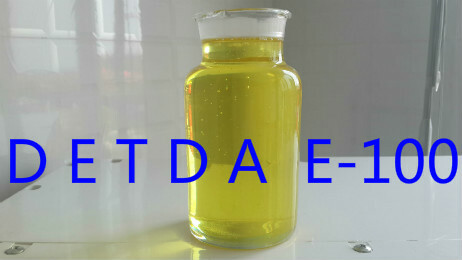 DETDA toluene diamine curing agent is (TDA) and ethylene as raw materials in the presence of a catalyst, high temperature and pressure occur G alkylation reaction, refining. DETDA curing agent for polyurethane products can improve the strength and hydrolysis resistance, the products and the productivity is greatly improved, and large size, complex structure of the polyurethane products industrialization possible. DETDA isocyanate vinegar faster reaction speed is also particularly suitable for solvent-free, fast-curing coatings. In addition, also as epoxy, alkyd resin curing agent, rubber antioxidant oils, dyes, pesticide intermediates, is a promising new chemical products. Hardener DETDA much attention to the world, competing with developed DETDA chain of polyurethane products, the amount increasing every year. In the United States and Western Europe automotive RIMPU products are used almost curing agent DETDA. Curing agent DETDA, also called Diethyltoluenediamine. Using a diamine as a chain extender, mainly as follows: ① the mechanical strength of the coating cured diamine chain extenders significantly higher than the diol chain extender; ② amine chain extender alcohols high reaction rate much higher than can be less or even no catalyst; ③ amine chain extender has excellent resistance to moisture sensitivity, the performance is extremely important, because in the open air too sensitive to moisture and cause the foam coating, coating performance will be greatly reduced. Reactive amine is much higher than hydroxyl and water, and therefore can effectively inhibit foaming. Different chain extender amine reactive different primary aromatic amine chain extenders such as curing agents DETDA (DETDA, United States Albemarle Corporation grades Ethacure100), a large number of spray technology for rapid reaction, the reaction speed, usually mixed condensate gel time of less than 5s. Relatively slow response diamine chain extender containing space electron withdrawing group sterically hindered primary aromatic amines such as dimethylthiotoluenediamine (DMTDA, United States Albemarle Corporation grades Ethacure300), aromatic secondary amine chain agents such as 4,4'-bis butylamine diphenyl methane (US UOP company trademark Unilink4200). If Curing agent DETDA product is not what you want, we can be customized according to your needs, please send us your order to Email: sales@yaruichem.com , or click here to post your buying lead.